Well, almost five months have passed very quickly and what a busy five months they’ve been! 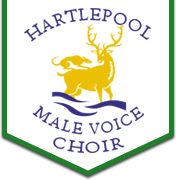 We had a successful time in the Hartlepool Shopping Centre which was very successful in raising the profile of the choir. If you would like to see some photographs of the event, please go to our Facebook page. We also made several donations to local charities from the proceeds of our Christmas Concert. Our main charity was the R.N.L.I.. Photographs of the presentation can be seen on our Facebook page or in the Gallery of this website. In March, we had our Annual Choir Dinner and Awards evening. Photographs can be seen on Facebook and this website. In the meantime, we have been rehearsing hard for the N.A.C. event at the Sage in Gateshead which involved 21 choirs from around the North-east. Again, pictures from this event are on Facebook. We have also been preparing for the ‘Men Of Steel’ concert in Scunthorpe with six other choirs and Lesley Garrett as a guest singer. On top of all of this, there has been some hard work going on in preparation for our joint concert with the Hartlepool Ladies’ Choir on the 18th June. It’s going to be quite spectacular, with songs from the choirs individually and as a mixed choir of over one hundred singers! Definitely not to be missed. Tickets for ‘Midsummer Magic’ are on sale now at £9 and £8 for concessions. Please contact either choir through their websites or Facebook pages for more details or ask any member of either choir. The choir is still looking for more members and we can guarantee you a warm and friendly welcome. Give it a try and, as recent reports have confirmed, it’s good for your health and well-being. Click on the ‘Join The Choir’ button on the website to talk to someone about it.